South Korea’s financial regulator has amended the anti-money laundering rules that apply to cryptocurrency exchanges in the country, requiring domestic banks to tighten up monitoring of related bank accounts. According to an announcement from the Financial Services Commission (FSC) on Wednesday, the amendment – which will initially be in effect for a year – means domestic banks who provide services to crypto exchanges must now monitor all the accounts held by an exchange. Typically an exchange has several accounts with a bank – such as, for example, a depositing account that holds traders’ funds on the platform, as well as an operating account that stores the exchange’s own assets. 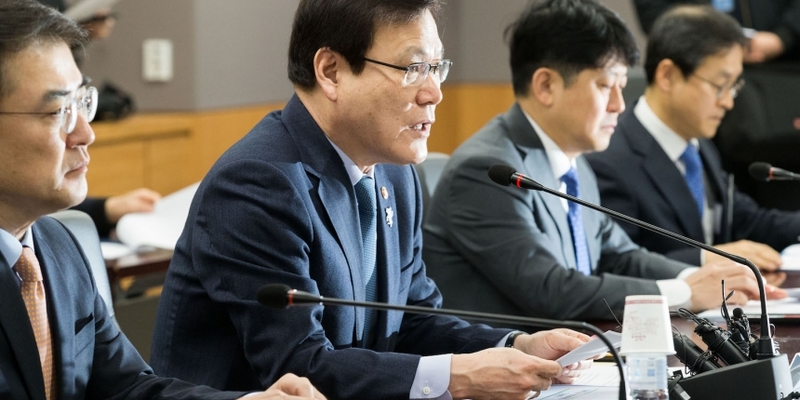 However, the FSC explained that its recent inspections at three institutions – Nonghyup Bank, KB Kookmin Bank and KEB Hana Bank – found that some exchanges had moved assets from investors’ depositing account to their own operating accounts. In doing so, the exchanges, according to a report from CoinDesk Korea, had directly violated guidelines requiring exchanges to keep investors’ assets separate from their own. Since banks currently only monitor investors’ depositing accounts at crypto exchanges, the FSC fears the absence of wider account scrutiny may increase the possibility of exchanges laundering money or evading taxes by using their operating accounts to buy cryptocurrencies from foreign exchanges. As a result, the amendment will require banks to keeep an eye out for transactions in which exchanges move assets to or from foreign exchanges. In cases where suspicious transactions come to light, the information must be shared with the FSC. The new rules marks the FSC’s latest tightening of anti-money laundering controls at crypto exchanges. Back in January, the watchdog issued an order that all trading platforms must implement real-name verification, outlawing anonymous trading in the country.